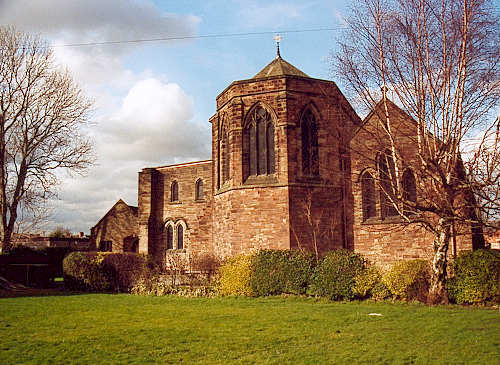 The parish of Shotton was created on 30 May 1921, from parts of the townships of Shotton, Aston, Sealand and Saltney; all of which had been in the parish of Hawarden until that time. St. Ethelwold's church was consecrated on 7 August 1902, replacing a combined school and chapel which had been opened on 12 February 1875. For family history information about the church and parish, visit the GenUKI Shotton page.